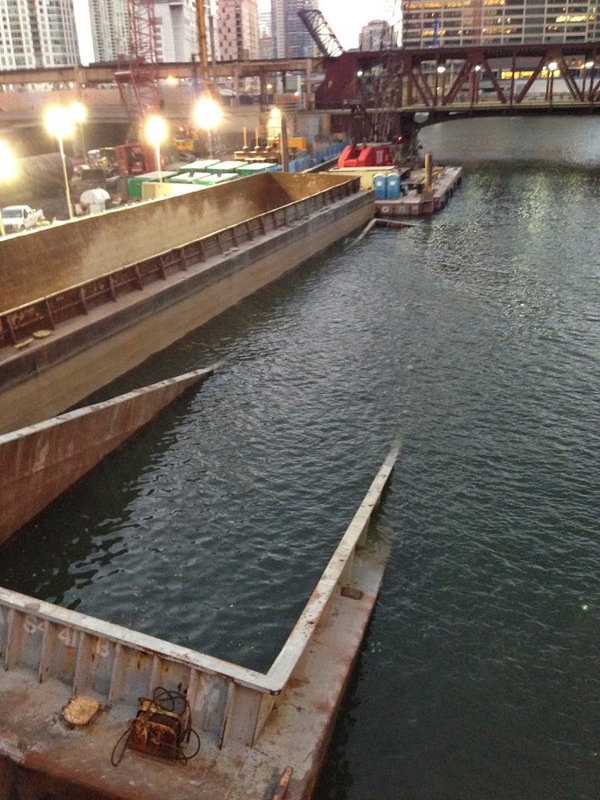 A construction barge sank in the Chicago River on Friday. It is right on the route I usually take when I walk from Union Station to the Merchandise Mart in the morning. I took this picture from the Randolph Street Bridge this morning.